“[Lewis] gave the Outline to me, and I shall reproduce it here,” Hooper wrote. 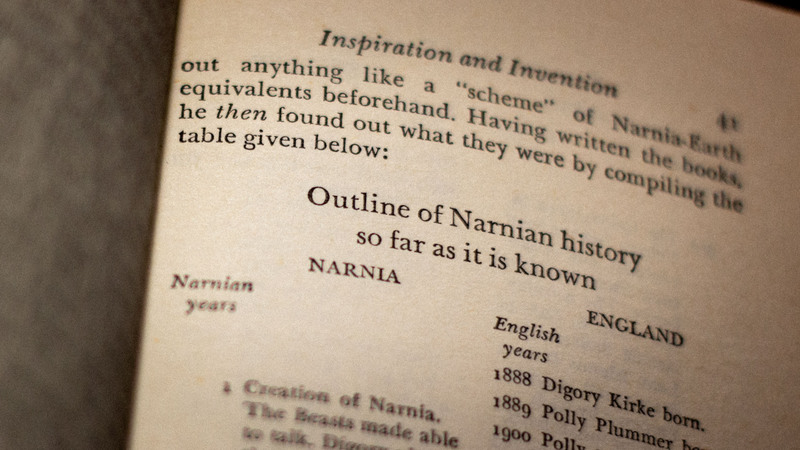 The document was titled Outline of Narnian history so far as it is is known. During Narnia’s 2555-year existence, only 52 years passed on Earth. The Lion, the Witch and the Wardrobe was the first of The Chronicles of Narnia to be published. The Horse and His Boy was published several years later. The story is set near the end of the Pevensies’ 15-year reign, which is described in the final chapter of The Lion, the Witch and the Wardrobe. The prequel, The Magician’s Nephew, was released next. Visit our reading order page for more information.